Last week we ripped the UFC (again) for their handling of the light heavyweight division. That was right after it appeared that top contender Daniel Cormier would be booked against “Feijao” Cavalcante, who’s ranked outside the top 10 of every sane MMA fan and outlet I follow. Well well well. It looks like the Dana White and Joe Silva read my article and made a change. You’re welcome! 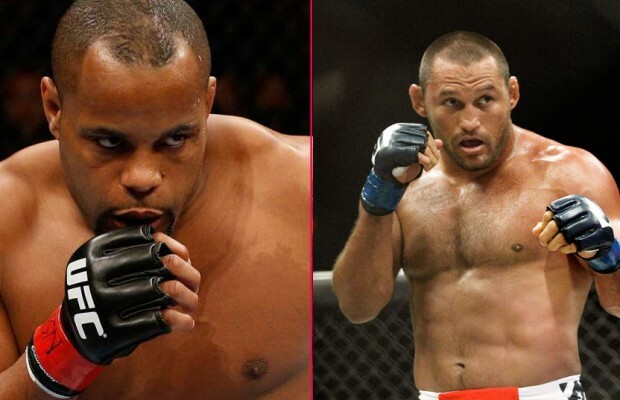 Now it looks like Cormier will fight Dan Henderson—not Feijao—at UFC 175 in Las Vegas. I won’t repeat myself for the 37th time about how few “real” contenders there are at LHW, and how the UFC is desperately trying to protect them from losing by feeding them a bunch of cans, but…oh wait, I just repeated myself. But still, fighting Henderson looks better for DC, if you know what I mean. And as we figured, the winner of the fight will get the next (well, the next next) title shot. So here’s the path to the title for each of them. For Cormier—who I’ve already stated deserves a LHW shot based solely on his achievements at heavyweight—he will have beaten Pat Cummins and Dan Henderson at this weight. For Henderson, he will have beaten Shogun Rua and DC (and lost three straight fights before that) to earn the shot at the champion. Yikes. Of course the winner will have to wait a while. Jon Jones is already set to fight Glover Teixeira; and Alexander Gustafsson is in the on-deck circle. You should also forgive me for assuming Jones will still be champion at that time—but I do. I admit I’m being fairly hypocritical here when I criticize this fight. After all, I wanted to see DC fight Jones as soon as I heard him expressing interest in the fight. The same can be said about Hendo—I wanted to see him tangle with Jones at the not-to-be-mentioned UFC 151. Let me be more positive today—I like this fight MUCH better than DC vs. Feijao. The light heavyweight division is still the shallowest in the company in my opinion, but it isn’t Cormier’s or Henderson’s fault.